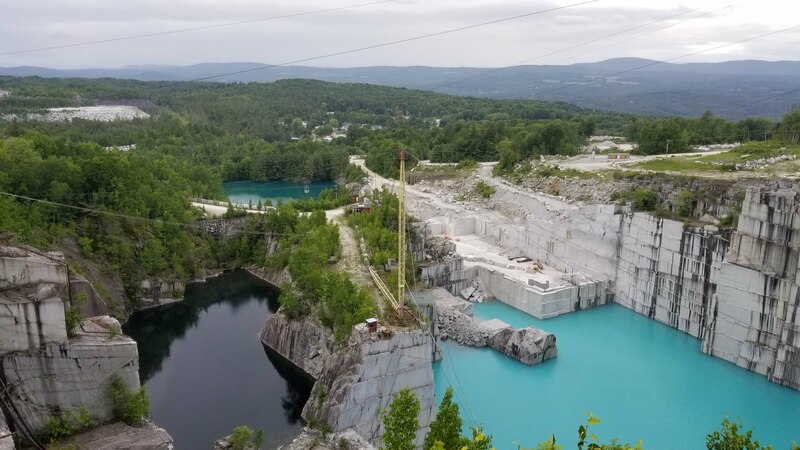 Rock of Ages quarry, located in Graniteville, Vermont, is a popular maker of tombstones and monuments, and a great stop if you are driving thru Vermont. Quarry – The main part of this facility is the tour that takes you up into the mountain, to overlook the quarry, where they work on extracting the rock from the mountain. They use diamond saws and water jets to cut thru it, taking out large squares to take away by truck. If you look at the picture below, you can see three bodies of water, all in different states of use. On the bottom left you have a fully used and dirtied body of water. On the right side, you have bright white water, which is where they are currently working out of. And finally, in the back, you have a fresh pond that they haven’t tapped into yet. 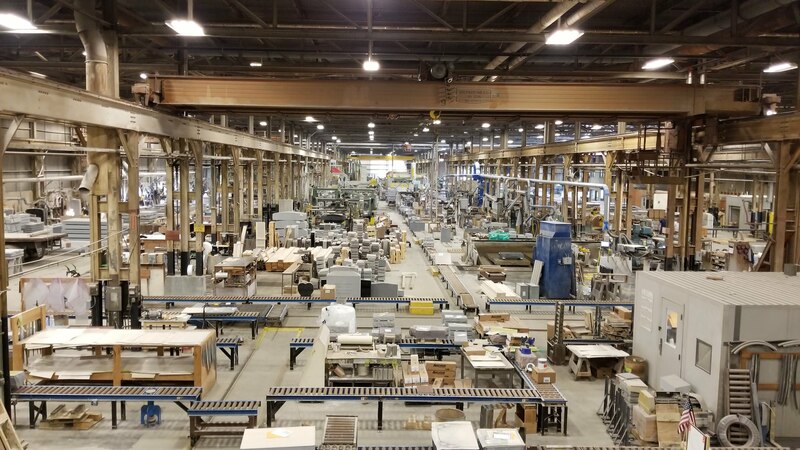 Plant – The plant is where you can take the self-guided factory tour, and this is the area where they work on the materials, doing everything from sawing and sandblasting, to polishing and precision cutting. 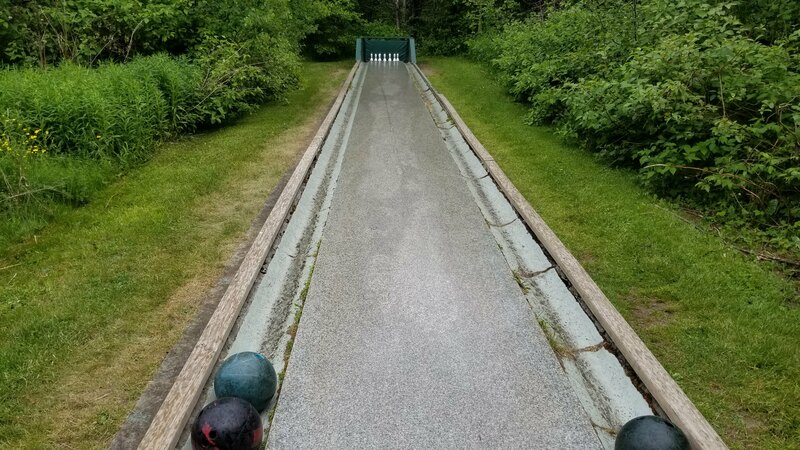 Bowling Alley – Nestled in the bushes outside the factory and gift shop is quartz bowling alley, with rubber bowling balls. You’ve never seen a ball roll so smoothly over a surface, as it heads down towards the pins at the end.